Being able to define intentional will help us along the way in our journey towards actually living intentional lives with authenticity. A few days ago, we DEFINED AUTHENTICITY , hopefully creating a better understanding simply of what the word means. 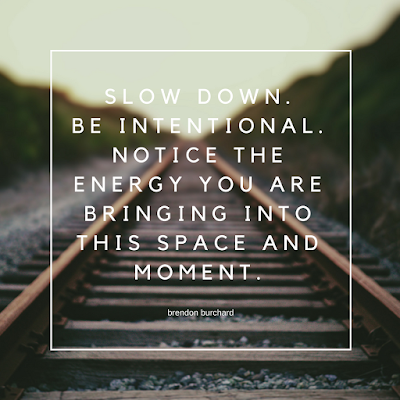 Lets take a quick moment to define intentional so that as we process and understand living authentically & intentionally, that we are on the same page. Defining our terms in our culture is pertinent to understanding where someone is coming from and really can eliminate a lot of questions and create clarity on any subject. It is just good practice really. synonyms: deliberate, calculated, conscious, intended, planned, meant, studied, knowing, willful, purposeful, purposive, done on purpose, premeditated, preplanned, preconceived; rare witting. While defining this adjective in relation to our word authentic, we know that it modifies it in some way. That is why the synonyms are so incredibly important. They create a disturbance in one way or another. Potentially creating discomfort because God is stirring something within you. I have this burning passion to live completely sold out in front of Jesus. Give it all up and move to the most remote part of the earth and serve the Lord for the rest of my days removed from everything that makes me comfortable here in my little house, in my easy life, in this part of the world. I wish I could accurately convey the feeling I get when I think about that idea. I picture my little family moving to a remote village in Africa loving on families, training pastors, sharing our faith, and just creating community. I want to scream, "God... why cant you just call us there?" It is so hard to share through words, unless we talked face to face you would really could not get my excitement and anticipation that one day God may call us there. That type of passion is what needs to draw me to being intentional. Completely ready to go... for a purpose. Planned. Premeditated, preconceived. ON PURPOSE. That is the heart of being intentional. You have to step out of your comfort zone and do something. Do something on purposed. planned. premeditated. preconceived.